Lea11011, OBAMA BANNED THIS VIDEO - GEE, I WONDER WHY! Fife is an American businessman and physicist. 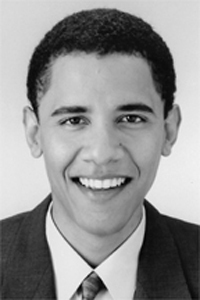 During the 2008 presidential campaign, Fife, then a U.S. government contractor, wrote an essay claiming that in 1992 while he was visiting Moscow, a woman with undying allegiance to Soviet Communism (the Soviet Union had recently collapsed, on December 31, 1991) told him that a black man named Barack, born of a white American woman and an African male, was being groomed by communists to be, and would be elected, President of the United States. Fife’s story just won’t go away (see story below). In an interview (video below) with geopolitical analyst Jeff Nyquist, Fife amplified on his 2008 account. 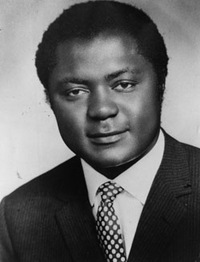 The woman specified that this black man Barack, whom the Soviets were grooming to be U.S. President, is himself “a Soviet;” that is, a communist. She also said Barack was from Hawaii, educated in “Ivy League” schools, had been to New York, and was presently in Chicago. In the top video above around the 40 minute mark, Anne Leary tells the story about how she ran into communist and friend of Obama, Bill Ayers, at the Reagan airport and what he told her — that he wrote Obama's autobiographical book, "Dreams From My Father." 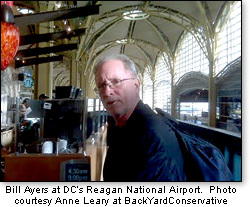 Anne Leary of Back Yard Conservative was passing through Washington, DC's Reagan National Airport, and was surprised to come across Bill Ayers at Starbucks: "scruffy, thinning beard, dippy earring, and the wire rims, heading to order." She struck up a conversation with him and snapped the accompanying photo. To which she responded, "I said, I know plenty — I'm from Chicago, a conservative blogger, and I'll post this." But he didn't scowl, and didn't run off as he has been known to do. Instead, unprompted, he blurted out: "I wrote 'Dreams From My Father' ... Michelle asked me to." Then he added "And if you can prove it we can split the royalties." But he repeated insistently, "I wrote it, the wording was similar [to Ayers' other writing]." Ayers stated firmly, "I wrote it... Michelle asked me to." He insisted three times that he wrote it. During the period of roughly February 1992 to mid 1994, I was making frequent trips to Moscow, Russia, in the process of starting a software development joint-venture company with some people from the Russian scientific community. One of the men in charge on the Russian side was named V. M.; he had a wife named T.M. V. was a level-headed scientist while his wife was rather deeply committed to the losing Communist cause – a cause she obviously was not abandoning. From the official files of Sheriff Joe Arpaio, we find Allen Hulton, a 39 year veteran of the postal service, who provided a sworn affidavit to Maricopa County, AZ. Sheriff investigators. Arpaio was leading an investigation to determine whether or not former foreign college student, Barack Obama, was eligible to be placed on Arizona’s 2012 election ballot. After reviewing Hulton’s affidavit, it is apparent that 1960′s communist agitators and revolutionaries from the communist-inspired Weathermen Underground, Bill Ayers and Bernadine Dohrn were in fact the de facto adoptive parents to this foreign student destined to become the first illegitimate President of the United States. 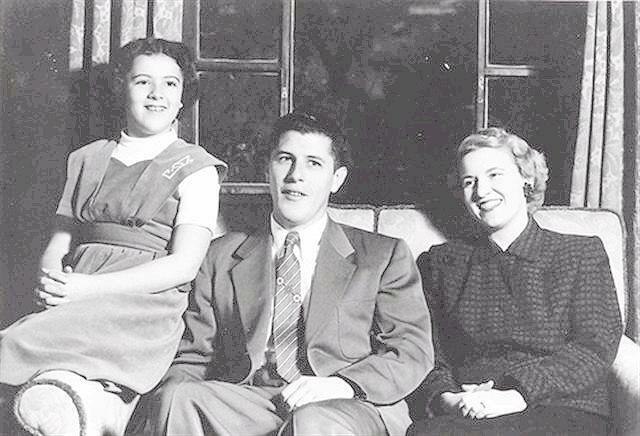 As a result, Obama was treated to the finest Ivy League education that communist backed money could buy as Hulton maintains that the Ayers told him that he was financing the education of a promising foreign student at Harvard. Hulton also testified that he met Obama while at the Ayer’s home and he asked Obama what he going to do with all his education, to which Obama politely answered, “I am going to become the President”. Readers should take note that this is an affidavit, and as such, is formally considered to be evidence, not conjecture or hearsay. There can be no other conclusion that the criminally convicted communist terrorist, Bill Ayers, began grooming Obama to become America’s first communist President during Obama’s college years. Their relationship continues into the present time as it is on record that Ayers visited the White House in August of 2009. Please note the words “foreign student”, which makes Obama ineligible to be in the White House... Much of the Obama administration is a nest of communists and this should serve to gravely concern every American citizen. Russia, after lulling America to sleep, will join with China in order to attack the United States from both the outside and inside... the death of the Petrodollar means that you will not a have job to go to tomorrow. Because of Obama, the Chinese own our money. Which means they own your mortgage, retirement and savings accounts. Everything you own, is controlled by the Chinese. Soon, they will be coming to collect. My insider military sources, as well as Dr. Garrow, tell me that plans for an American guerrilla warfare resistance are being put into play as we speak. This means that millions of us are going to die at the hands of foreign invaders and from being caught in the crossfire. G. Edward Griffin interviews Ex-KGB Soviet Defector Yuri Bezmenov on the four-step program of demoralization, destabilization, crisis, and normalization used by the KGB to subvert nations. This interview was conducted in 1985, but has only recently been re-highlighted. Yuri explains why people cannot recognize truth when presented to them and why America has difficulty resisting a Socialist agenda. Our conversation is with Mr. Yuri Alexandrovich Bezmenov. Mr. Bezmenov was born in 1939 in a suburb of Moscow. He was the son of a high-ranking Soviet army officer. He was educated in the elite schools inside the Soviet Union and became an expert in Indian culture and Indian languages. He had an outstanding career with Novosti [Press Agency (APN)], which was the -- and still is, I should say -- the press arm or the press agency of the Soviet Union. It turns out that this is also a front for the KGB. He escaped to the West in 1970 after becoming totally disgusted with the Soviet system; and he did this at great risk to his life. He certainly is one of the world's outstanding experts on the subject of Soviet propaganda and disinformation and active measures. Well, you spoke before about "ideological subversion" and that's a phrase that I'm afraid some Americans don't understand. When the Soviets use the phrase "ideological subversion" what do they mean by it? When the Soviets use the phrase "ideological subversion" what do they mean by it? Ideological subversion is the process which is [a] legitimate, old word, and open. You can see it with your own eyes. All American mass media has to do is to "unplug bananas" from their ears, open up their eyes, and they can see it. There is no mystery. It has nothing to do with espionage. I know espionage, intelligence gathering, looks more romantic. It sells more deodorants through the advertising, probably. That's why your Hollywood producers are so crazy about James Bond type of thrillers. But in reality, the main emphasis of the KGB is not in the area of intelligence at all. According to my opinion, and opinion of many defectors of my caliber, only about 15% of time, money and manpower is spent on espionage as such. The other 85% is a slow process which we call either "ideological subversion" or "active measures", активные меры in the language of the KGB, or "psychological warfare". What it basically means is to change the perception of reality of every American to such an extent that despite the abundance of information, no one is able to come to sensible conclusions in the interests of defending themselves, their families, their community and their country. It's a great brainwashing process which goes very slow, and is divided into four basic stages. The first stage being "demoralization". It takes from 15 to 20 years to demoralize a nation. Why that many years? Because this is the minimum number of years required to educate one generation of students in the country of your enemy exposed to the ideology of [their] enemy. 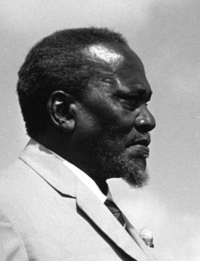 Most of the activity of that department [KGB] was to compile huge amount / volume of information on individuals who were instrumental in creating public opinion: publishers, editors, journalists, actors, educationalists, professors of political science, members of parliament, representatives of business circles. Same way as in a small town of Hua in South Vietnam: several thousands of Vietnamese were executed in one night when the city was captured by [the] Viet Cong for only two days. And American CIA could never figure out - how could [the communists] possibly know each individual, where he lives, where to get him; and [in order that they] would be arrested in one night basically in four hours before dawn, put on a van, driven out of the city limits, and shot. The answer is very simple. 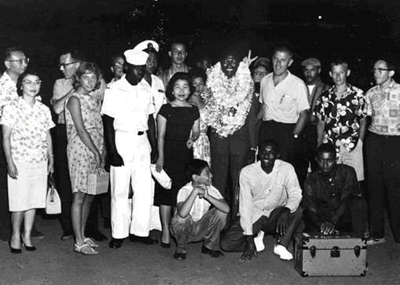 Long before communists occupy the city, there was extensive network of informers - local Vietnamese citizens who knew absolutely everything about people who are instrumental in public opinion - including barbers and taxi drivers. Everyone who was sympathetic to United States was executed. Same thing was done under the guidance of the Soviet Embassy in Hanoi, and same thing I was doing in New Delhi. To my horror, I discovered that in the files were people who were doomed to execution. There were names of pro-Soviet Journalists with whom I was personally friendly. They were idealistically minded Leftists who made several visits to U.S.S.R. and yet, the KGB decided that come Revolution, for drastic changes in political structure of India, they will have to go. Yes, absolutely. They were idealistically minded leftist communists who had made several visits to the USSR; and yet the KGB decided, that come Revolution, or drastic changes in political structure of India - they will have to go. Because they know too much. Simply, because, you see the USEFUL IDIOTS; the leftists who are idealistically believing in the beauty of Soviet or Communist or Socialist or whatever system; when they get disillusioned, they become the worst enemies. That's why my KGB instructors specifically made the point, "never bother with leftists, forget about these political prostitutes - aim higher" - his was my instruction. Try to get into, uh, large circulation, established conservative media. Reach filthy rich movie makers, intellectuals in so-called academic circles. Cynical, ego-centric people who can look into your eyes with angelic expression and tell you a lie. These are the most recruitable people - people who lack moral principals, who are either too greedy or too, uh, suffer from self-importance, uh, they feel that they matter a lot. Uh, these are the people who KGB wanted very much to recruit. But to eliminate the others; to execute the others, don't they serve some purpose - wouldn't they be the one's to rely on? No, they serve purpose only [up] to the stage of destabilization of a nation. For example, your leftists in [the] United States - all these professors and all these beautiful civil rights defenders. They are instrumental in the process of the subversion; only to destabilize a nation. When the job is completed, they are not needed anymore. They know too much. Some of them, when they get disillusioned - when they see that Marxist-Leninist come to power - obviously they get offended; they think that THEY will come to power. That will never happen, of course; they will be lined up against the wall and shot. But, they may turn into the most bitter enemies of Marxist-Leninists when they come to power. And that's what happened in Nicaragua. You remember most of these former Marxist-Leninists were either put to prison or one of them split and now he's working against Sandinistas. It happened in Grenada when Maurice Bishop was - he was already a Marxist - he was executed by a new Marxist who was more Marxist than this Marxist. Same happened in Afghanistan, when, uh, first there was Taraki; he was killed by Amin, then Amin was killed by Karmal with the help of KGB. Same happened in Bangladesh when Mujibur Rahman - very pro-Soviet Leftist was assassinated by his own Marxist-Leninst military comrades. It's the same pattern everywhere. The moment they serve their purpose, all the useful idiots are either executed entirely - all the idealistically minded Marxists - or exiled or put in prisons like in Cuba many former Marxists are in Cuba and in prison. So, basically, America is stuck with demoralization. And unless - even if you start right now, here, this minute, you start educating new generation of Americans - it will still take you 15 to 20 years to turn the tide of uh, ideological perception of reality, uh back to normalcy and patriotism. The result? The result you can see. Most of the people who graduated in the 60s, dropouts or half-baked intellectuals, are now occupying the positions of power: the government, civil service, business, mass media, educational system. You are stuck with them. You cannot get rid of them. They are contaminated. They are programmed to think and react to certain stimuli in a certain pattern [alluding to Pavlov]. You can not change their mind even if you expose them to authentic information. Even if you prove that white is white and black is black, you still can not change the basic perception and the logic of behavior. In other words, [for] these people, the process of demoralization is complete and irreversible. To rid society of these people you need another 15 or 20 years to educate a new generation of patriotically-minded and common sense people who would be acting in favor and in the interests of United States society. And yet these people who have been programmed and as you say [are] in place and who are favorable to an opening with the Soviet concept [meaning NEW WORLD ORDER]- these are the very people who would be marked for extermination in this country? Most of them, yes. Simply because the psychological shock, when they will see in [the] future what the beautiful society of equality and social justice means in practice. Obviously they will revolt. They will be very unhappy [and] frustrated people. And Marxist Leninist regime does not tolerate these people. Ah, they obviously they will join the [ranks] of dissenters, dissidents. Ah, unlike in present United States, there will be no place for dissent in [a] future Marxist-Leninist America. Ah, here you can get popular, like ah, Daniel Ellsberg, or filthy rich, like Jane Fonda, for being a dissident, for criticizing your Pentagon. In [the] future these people will simply be [he makes a squishy noise] squashed like cockroaches [ for criticizing the government]. Nobody is going to pay them nothing for their beautiful, noble ideas of equality. This they don't understand. And, and ah, will be greatest shock for them, of course. 1. The demoralization process in the United States is basically completed already, for the last 25 years, actually; it's over-fulfilled because, ah, demoralization reaches such areas where previously not even Comrade Andropov [1911-1984] and all his experts would even dream of such tremendous success. Most of it is done by Americans to Americans, thanks to lack of moral standards. As I mentioned before, ah, exposure to true information does not matter any more. A person who is demoralized is unable to assess true information. The facts tell nothing to him. Ah, even if I shower him with information, with authentic proof, with documents, with pictures. Even if I take him by force to the Soviet Union and show him the concentration camps...he will refuse to believe it.... until he is going to receive a kick in his fat bottom. When the military boot crashes, then he will understand. But not before that. That's the tragedy of the situation of demoralization. 2. The next stage is destabilization. This time, subverter does not care about your ideas and the patterns of your consumption. Whether you eat junk food and get fat and flabby doesn't matter any more. It only takes 2 to 5 years to destabilize a nation. This time what matters is essentials: economy, foreign relations, [and] defense systems. And you can see it quite clearly that in some... sensitive areas such as defense and [the] economy, the influence of Marxist-Leninist ideas in the United States is absolutely fantastic. I could never believe it 14 years ago when I landed in this part of the world that the process will go that fast. 3. The next stage, of course is crisis. It may take only up to six weeks to bring a country to the verge of crisis. You can see it in Central America, now. 4. And, after crisis, with a violent change of power structure and economy, you have so-called a period of "normalization". It may last indefinitely. Normalization is a cynical expression borrowed from Soviet propaganda. When the Soviet tanks moved into Czechoslovakia in 1968, Comrade Breznev said: "Now, the situation in brotherly Czechoslovakia is normalized." This is what will happen in [the] United States if you allow all the schmucks to bring the country to crisis. To promise people all kinds of goodies, and the paradise on Earth. Uh, to destabilize your economy, to eliminate the principal of free market competition, and to put a big brother government in Washington D.C. with benevolent dictators like  Walter Mondale, who will promise lots of things - never mind whether the promises are fulfilled or not. He [the dictator] will go to Moscow to kiss the bottoms of a new generation of Soviet assassins. Never mind. He will create false illusions that the situation is under control. The situation is NOT under control. [The] situation is disgustingly out of control. Most of the American politicians, media and educational system trains another generation of people who think that they are living at the peace time. False. United States is in a state of war: undeclared total war against the basic principles and the foundations of this system. And the initiator of this war is not Comrade Andropov of course - it's the system. However, ridiculous it may sound, [it is] the world Communist system or the world Communist conspiracy. Whether I scare some people or not, I don't give a hoot. If you're not scared by now, nothing can scare you. You don't have to be paranoid about it. What actually happens now, that unlike myself, you have literally several years to live on unless United States wake up. The time bomb is ticking. With every second, the disaster is coming closer. Unlike myself, you will have nowhere to defect to, unless you want to live in Antarctica with penguins. Okay, so what do we do? What is your recommendation to the American people? Well, the immediate thing that comes to mind is, of course, there must be a very strong national effort to educate people in the spirit of REAL patriotism, number one. Number two, to explain [to] them the real danger of socialist, communist, welfare state, Big Brother government. If people fail to grasp the impending danger [of that development], nothing ever will help the United States. You may kiss goodbye your freedoms, including [freedom to] homosexuals, to the prison inmate. All this freedom will vanish in five seconds, including your precious lives. The Russians, who supposedly came in for joint, military exercises, have not left; and their joint experiences have all been terminated, except for some very few. Now their experiences are known primarily to themselves and to a very few at the highest levels of your government. For their collaborative efforts are to keep in power the one who is in power over this nation. And their combined schemes are to destroy this nation and to put it totally into the hands of your enemies. Do not believe that the Russian troops have left! They have only gone underground. They have been allowed into this nation for the sole purposes of destabilizing this nation! You will not recognize these Russian infiltrators. Their mannerisms and their training have been perfected so that they will neither be recognized, nor suspected as foreign. They are on your streets, in your tunnels, in your cities, in your subways, and in your countryside; and they have been brought in, brought into your nation by a few at the very top of this nation, particularly by your President. For he will use their instabilities to get his iron grip on your nation. And he will use their money to keep his place. Soon devastating explosions will rip this nation from one end to the other. You opened up and you allowed these troops and these many explosions to be brought in through Russian aircraft and vehicles. The plot is from within, and the great treason is from within this nation. I am showing you their works. I am not just telling you their plans; for their plans will come to pass in great measure. I am showing you their works: fires in New Mexico; fires in Colorado, nuclear explosions and various kinds of attacks on the New Madrid Fault lines. But among their plans are planned attacks on your nuclear power plants, planned attacks on your dams and bridges, fires, fires all across this nation, many fires and explosions, and the planned release of poisonous gases! Yes, they plan to release the poisonous gases, and soon! Now, you see! Now, you know! There is a president in this nation who is a true Russian intelligence agent! He is one among them, and he has been one among them for most of his adult life [read story above by Tom Fife]. Will one change the feathers of a bird? And will this bird easily give up his power? He will not, for his controllers will not. And his controllers are not just the Russians but, as you know, his controllers also control the world’s wealth. Therefore, he will do as he is told to do; for he is Satan’s frontrunner, who controls the military and who will also bring this nation to its knees through the violence of this Trojan Horse; and also through the violence of the international banking cartel. I tell you these important truths! For soon, very soon, the poisonous gases will fill the skies and fires of all sorts will erupt all over this nation, fires and explosions, and a very great destabilization of the New Madrid Fault will take place. And, you shall hear! Chicago is fallen! Chicago is fallen! Chicago is fallen, and so great are the numbers of the dead! For Chicago is fallen and the city is broken, clean broken down! For a very great earthquake will rip through Chicago! Hear Me in this! The plans of their great works are to rupture the Great Lakes! See their evil works! See what they do! For in this way, Chicago shall fall! The US Federal Emergency Management Agency (FEMA) recently put out a tender or 'Request For Information' (RFI) for a LOT of emergency rations. The reason, in their own words, is: "to identify sources of supply for meals in support of disaster relief efforts based on a catastrophic disaster event within the New Madrid Fault System for a survivor population of 7 million to be utilized for the sustainment of life during a 10-day period of operations." Is there something they're not telling us? 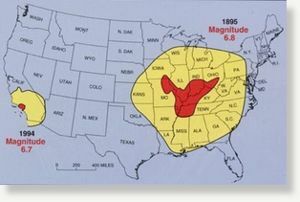 It's interesting to note that many of the recent animal 'die-offs' happened in the region of the New Madrid fault zone, which stretches 150-miles (240 km) southward from Cairo, Illinois; through Hayti, Caruthersville and New Madrid in Missouri; through Blytheville into Marked Tree in Arkansas. It also covers a part of West Tennessee, near Reelfoot Lake, extending southeast into Dyersburg. It's true that the area has been rocking and rolling of late with the the U.S. Geological Survey reporting, more than 500 measurable earthquakes in central Arkansas since September 2010. A magnitude-3.8 earthquake that shook north-central Indiana on December 30th 2010 was called "unprecedented." It was strong enough to actually cause cracks along the ground, and it was felt in portions of Ohio, Illinois, Wisconsin and Kentucky. In addition, the sun appears to be spewing out some major solar flares recently. The effects of the associated solar radiation on earth is very poorly understood, at least that's what they tell us. If the US government knows, or even suspects, that a major quake is likely, they need to tell the people in the area in advance! 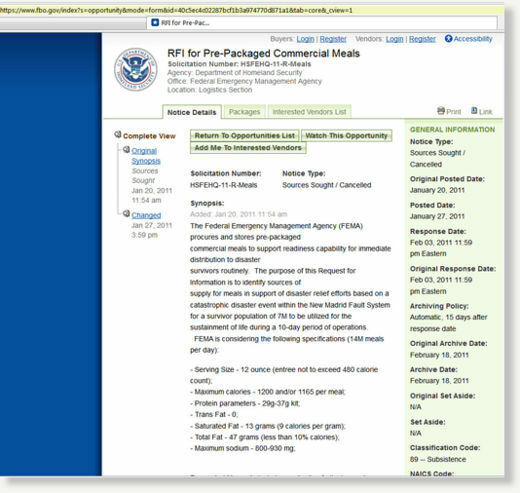 The FEMA RFI is reproduced below, with a screen-shot in case it disappears. Interested parties may also provide brochures, web links, or other literature about their cots available for the specified users. Responses to this RFI are not considered offers and cannot be accepted by the Government to form a binding contract. Vendors are encouraged to ask the Government questions regarding this potential requirement. Questions must be submitted in writing to Julieann L. Phillips at julieann.phillips@dhs.gov not later than 2:00PM, 26 January 2011 to be answered. Responses to questions will be provided not later than 2:00PM, 03 February 2011. Request for Information closing date is 03 February 2011. This RFI is being cancelled in its entirety effective as of 4 pm Eastern Time on January 27, 2011. 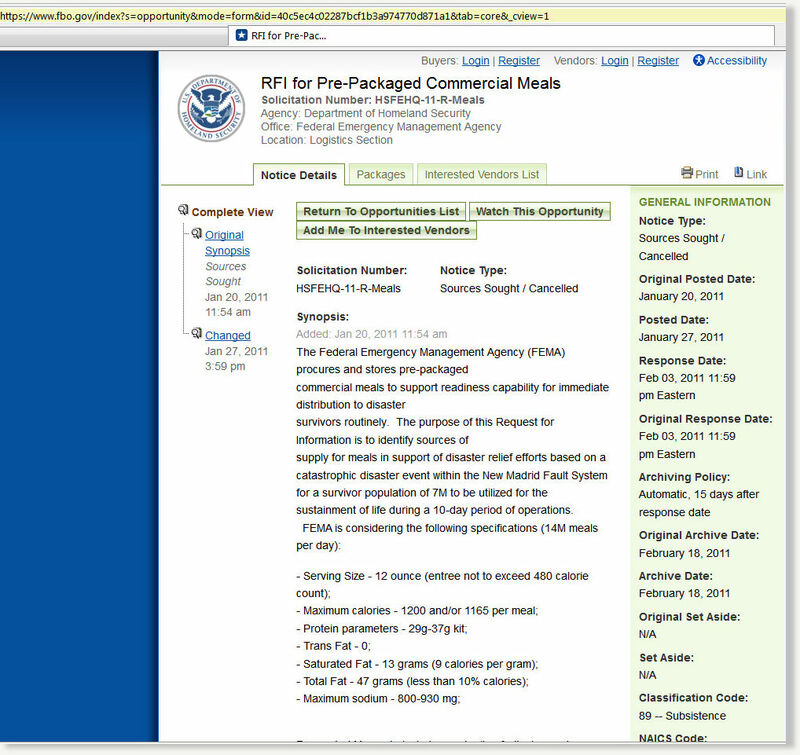 DHS specifically cites the states that it will be needed in. North Carolina, South Carolina, Louisiana, Texas, Alabama, Mississippi, Georgia, and Florida. That’s right, the Gulf of Mexico. FEMA is also looking for Hydration Supplies for a disaster in the New Madrid Fault System just as they are looking for food, blankets, and underwater body bags. I want to start out by stating the importance of an article such as this as well as the importance of NOT jumping to conclusions or doing irrational things out of fear caused by the actions of FEMA. I believe that one of the major powers of FEMA is the fear that it instills in people who consider themselves awake. That being said, preparing has never became more important. Food, water, and ammo are a must, REGARDLESS of what company you choose to purchase your supplies from. FEMA has issued multiple RFI’s(Request For Information) in regards to the availability of 140 million packets of food specifically for a disaster in the New Madrid Fault System. Normally this sort of information would seem like disinformation or fear mongering but this particular situation is heavily documented. Interestingly enough, FEMA is also requesting information on millions of blankets for the EXACT same reason. Does FEMA know something we don’t or are they doing this to simply prepare for a disaster in order to help the American people? Most educated people understand that history repeats itself and the history of FEMA is that of an agency that has been completely unprepared and at times, unwilling to help the American people. While many individuals within FEMA are good, hard working people, their masters have secretly set up thousands of FEMA camps throughout the country specifically for the American people. A few years ago the idea that FEMA camps were real was looked upon as complete bs yet the alternative media continued to push and the facts have been exposed. This is not fear mongering, this is documented fact. These requests line up directly with NLE 2011. In this National Exercise, FEMA plans to run drills simulating a catastrophic disaster along the New Madrid Fault System. This exercise is scheduled for May 2011. Past National Level Exercises have resulted in 70,000 people being evacuated in central Texas while the mainstream media (CORRECTION) mostly ignored it. Is a massive earthquake set to strike the New Madrid Fault Zone? How do HARRP and the gulf oil disaster play into this possible mega disaster? 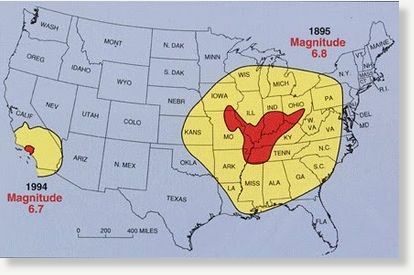 In June, a report from the University of Illinois warned that the possibility of a 7.7 magnitude or higher earthquake striking the New Madrid Zone was very high. “If a quake that size did hit, the report estimates at least 3,500 people would be killed and more than 80,000 others hurt,” reported the Chicago Headlines Examiner. Adding to seriousness of this situation, the Department of Homeland Security has also contacted multiple vendors in regards to the availability of underwater body bags. The Space and Naval Warfare Systems Center (SPAWARSYSCEN) Atlantic, Advanced Technology Branch (Code 51610) is seeking information on commercially-available underwater body bags used for recovery operations of bodies and body parts.The Department of Homeland Security (DHS) Authorized Equipment List (AEL) item number for this equipment is 03WA-01-BAGB: Underwater Body Bags. The target audience for this information is public resource dive teams within theemergency responder community, and all submittals should be suited to their specific needs.Review of this information is being performed for the DHS System Assessment and Validation for Emergency Responders (SAVER) Program, which aims to conduct objective comparative assessments and validation of commercial equipment andsystems and provide those results with the emergency responder community. For more information on the SAVER Program, visit https://www.rkb.us/saver. It is interesting to note that this is happening at the same time as people are ordering a massive amount of food and food riots are being predicted by globalists throughout the world. Labels: Communism in the USA, Obama is a Communist Groomed for the Presidency, Tom Fife Testimony, Will the U.S. Military Fire Upon U.S. Citizens?